Relatively speaking, dentists, depending on their experience, location, popularity, and areas of specialization, can either earn a modest or affluent living. But the real question you’re begging to ask is: “How do dentists earn money?” Yet so many factors constitute to answer this broad question. To start off, dental school is one of the most expensive career paths to pursue, especially in the United States. A lot of newly-practicing dentists are still paying off tens of thousands of dollars in college debt, and are also seeking ways to establish a name in the industry. So it’s very rational for them to charge their patients a high amount. Newly-practicing dentists can earn around $60,000 a year if they can afford to start their own private dental clinic. On the other hand, dentists in public service or those who work in state and/or general clinics/hospitals also make a good living at around $70,000 annually, but nowhere near the $300,000 to $500,000 Beverly Hills and New York cosmetic dentists make a year. Of course, dentists in metropolitan areas have the means to earn higher than dentists in small communities due to the vast population, employment rates, and not to mention the inclination of cityfolk to have their teeth cleaned, whitened, and/or corrected. However, dental competition in populous cities is very tough, and most dentists resort in a montage of publicity stunts just to get a better flow of customers. 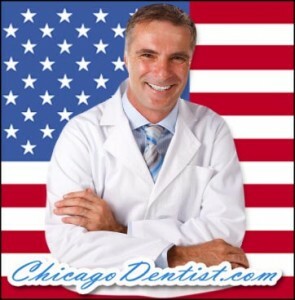 Dentists even offer free cosmetic services to famous actors and actresses to get recognized. And apart from the services they provide, dentists are also known purveyors of dental whitening products, which can substantially increase their median income, basing on the keen interest of patients for at-home teeth whitening products. Career-wise, being dentist is never a risky career path. Why? Because the number of dentists in the United States – which is close to 250,000 in 2009, according StateHealthFacts – is barely enough to suffice to the growing dental needs of the proportionally increasing general population. And to prove this, we always see dental clinics packed with patients waiting in the foyer. The only downsides to becoming a dentist are the academic fees and the initial cost of setting up a clinic. Other than that, dentists have it made for them. Dentists from India and the rest of Asia have been migrating to the United States in search for high-paying careers and good lifestyles to match.